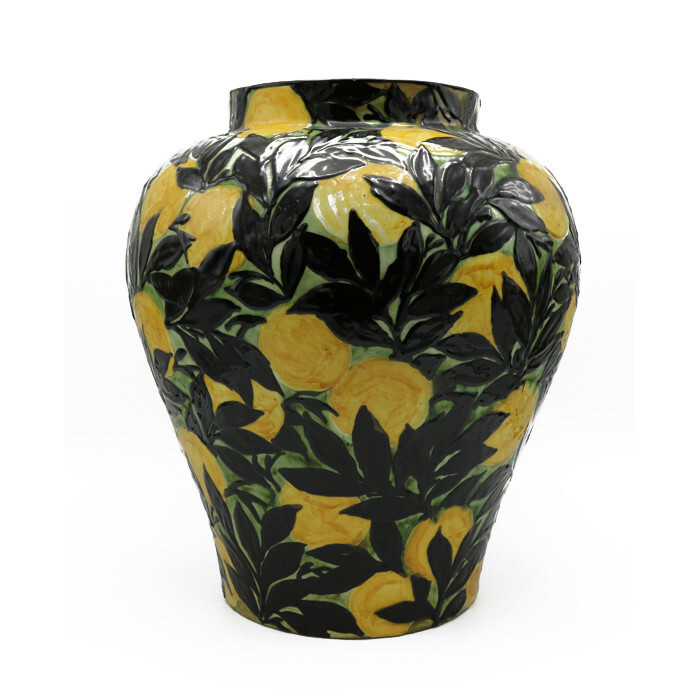 An Art Deco Vase By Max Laeuger "Lemons". Finley galzed in yellow green and black depicting lemon tree branches. Marked with makers and artist's mark.